Hallowe’en is over. 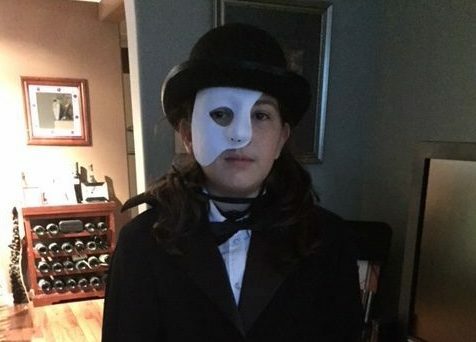 My daughter loved her costume and had an excellent time – both at school and in the neighbourhood. But my experience this year has given me cause to reflect more deeply on this annual institution. In a time of turmoil and uncertainty – where we suspect everyone and trust no one – Hallowe’en seems to be one of the last remaining vestiges or our pasts that we can share with our children (it is in a sense a true anomaly in today’s society). And finally, we let them eat quantities of the types of food that we refuse them regularly! I don’t deny that these are odd concessions we continue to make year in and year out to our parenting norms, and I must admit that I have never been a “Hallowe’en fan” (I have always hated the costumes part!). But as I walked the neighbourhood with my daughter this year, I got a different picture of Hallowe’en, and perhaps a better understanding of the endearing quality it has held for many generations of our children. I walked through the neighbourhood Tuesday night – a neighbourhood that we rarely walk throughout the year. And as I walked there was an energy on the streets – so many people out just visiting and greeting strangers. People were laughing and talking – it was what a neighbourhood has always been to me. As we walked up to houses, we greeted neighbours that we rarely see throughout the year – if at all. We had conversations, in some situations, for the first time in ages, about the evening, about the summer and about how they were doing. It was a great way to touch base – and it furthered the good “community” feeling of the night. And finally, in a throwback kind of way, it really provided an opportunity for my daughter and I to connect in such a different way than we do on a weekly basis. There was no Netflix on this Tuesday night. No apps or video games or internet. We were out walking the street, being active and meeting new people. It was something we could both relate to together – because it was one of those few things she does as a child that she knows I did when I was her age. That made the evening wonderful. It made it something more than just Hallowe’en.